Blurb: Things are never quite as they appear. Bethan Brooks works in London for the ultimate boss from Hell, trying to support her wannabe rockstar boyfriend. But are The Vampire Squirrels really ever going to make it big or is she doomed to be a secretary forever? Luckily, Bethan finds the perfect escape when going to the cinema. There she loses herself in another world and forgets all about the dreaded filing and monotonous office work. Imagine her surprise when one day she encounters her favourite actor on the Tube. Suddenly, she finds herself part of the glamorous movie world she only ever dreamed about. With more at stake than she could ever realise, does she really want to know what goes on behind the scenes? 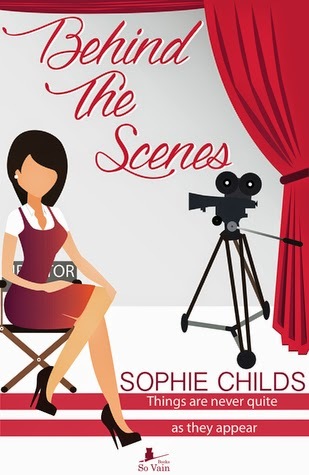 Review: Behind the Scenes is the fun debut of Sophie Childs. Centered around the movie industry and its ins and outs, I am sure that any movie lover will enjoy this read. 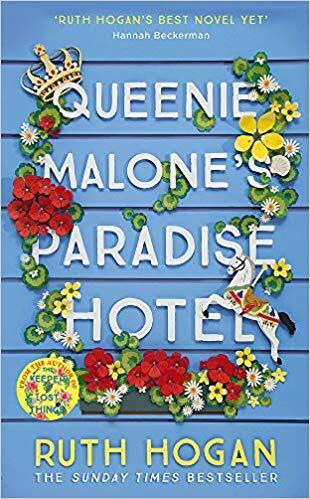 This is one of those easy and quick reads that you can finish in a couple of sittings and that leaves you with a smile on your face. Our heroine, Bethan Brooks, is a lovely girl who thanks to a bit of luck has finally landed his dream opportunity to work in the movies as a PA to a rising star. I liked how she was determined to follow her dreams and was not afraid to work hard to reach them. But I have to admit that I found her a bit too naive, especially with her personal life. There were some twists in that department that I could totally see coming and I just wanted to shout to her to open her eyes. All in all, for me, Behind the Scenes was a good story, not great, but fun. And it delivered what was promised: laughs, insight in the movies world, charming characters (and not so charming ones) and a nice ending.